Ok the recipe you all have been dying to know for the past two weeks. My CBD protein ball recipe. I didn't want to share this until I wrote out my experience with CBD just because it didn't make sense and I knew I'd have a ton of questions about CBD. If you haven't had the chance to read the blog post yet, GO NOW! 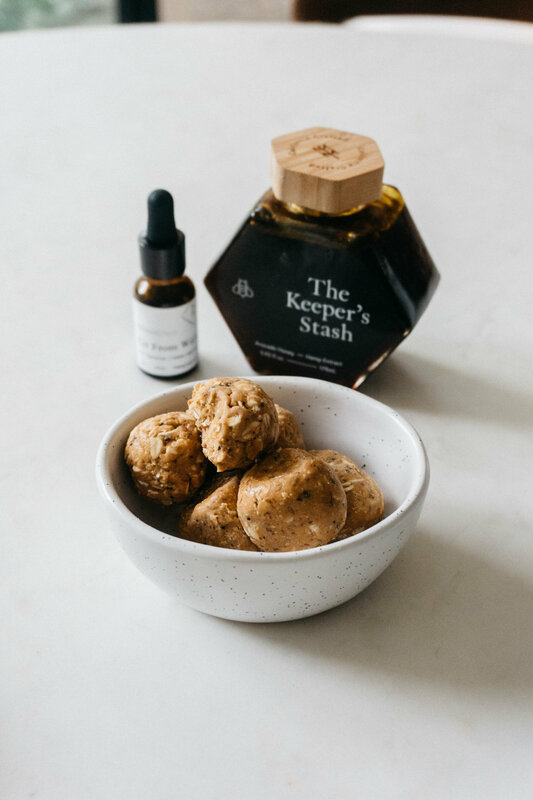 These CBD protein balls are something I typically take before or after my workout, depending on what other sorts of a meal I decide to eat before I train or SoulCycle. Some days I have this as an evening dessert when I want something sweet, clean, and tasty to eat. Pop into the fridge for 20-30 minutes, this will make it easier to roll into balls. Then once mixture is cooled, roll into shape, devour, and enjoy. You can store this in the freezer for up to two weeks if you'd like. Enjoy! Are you using CBD with your foods? Share some recipes with me below! Natural vs Organic, is there a difference and which one is better?